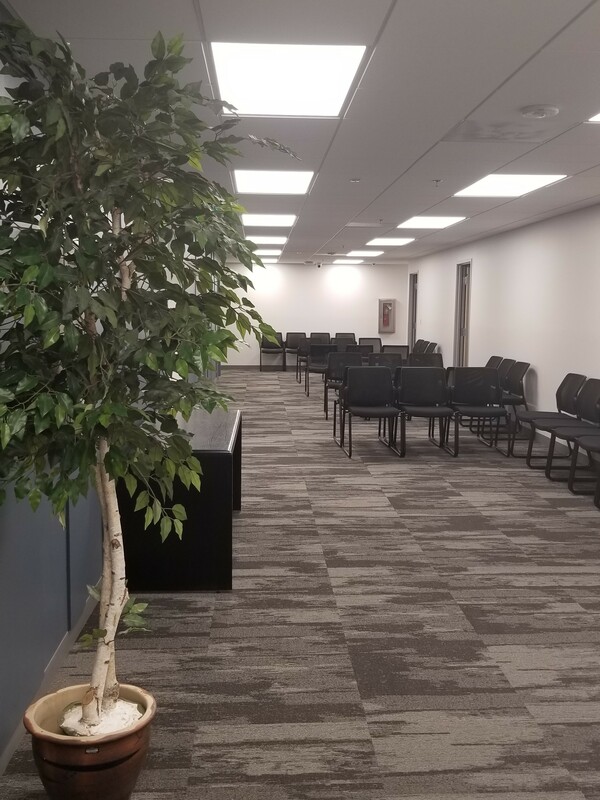 The Office of Administrative Hearings has paid attention to the atmosphere of its hearing rooms in order to minimize the understandable discomfort that many may feel in being involved in the hearing process. Interesting art work, comfortable chairs and adequate space all contribute to an environment conducive to resolution or at least the "safe space" where conflict can be channeled to understanding. There are two styles of hearing rooms chosen depending on the type of hearing or the needs of the parties. See photographs in the links above. 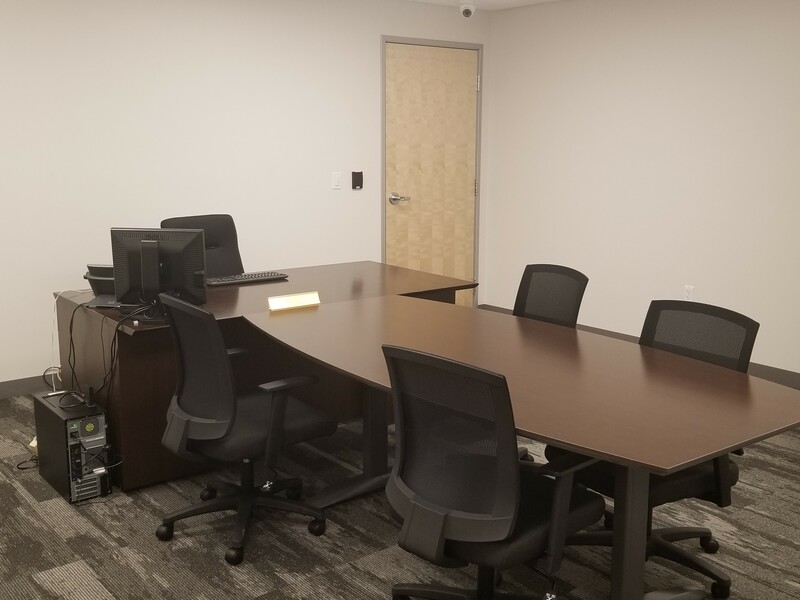 The first style consists of a "T" configuration with a large conference table intersecting the table for the administrative law judge. Placing the parties across from one another underscores the idea that the purpose of a hearing is to be heard and to listen. The close proximity to the administrative law judge likewise is designed to prevent the unnecessary distancing between the parties and the person considering their positions. 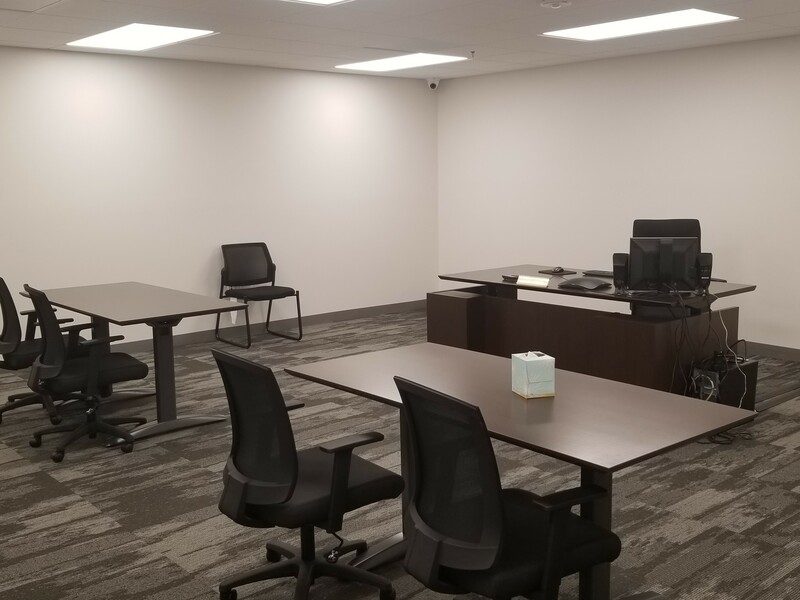 The second style, an accommodation for complex presentations, consists of a desk for the administrative law judge and two separate tables for the parties. Despite the separation of the parties, the tables are turned toward one another in a 'V" shape toward the administrative law judge to maintain a connection between all of the participants, rather than the traditional adversarial formation. 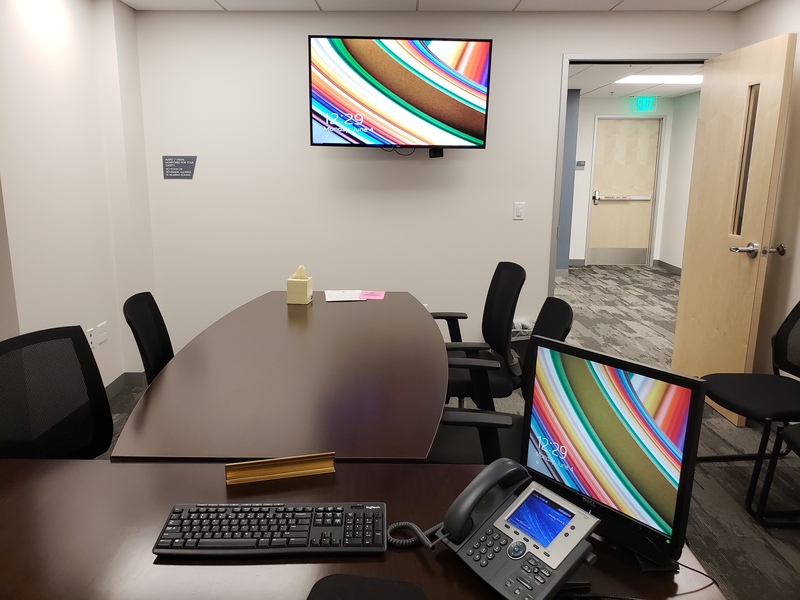 The effect is actually that of a triangular conference table, although with adequate space to negotiate exhibits and witnesses.